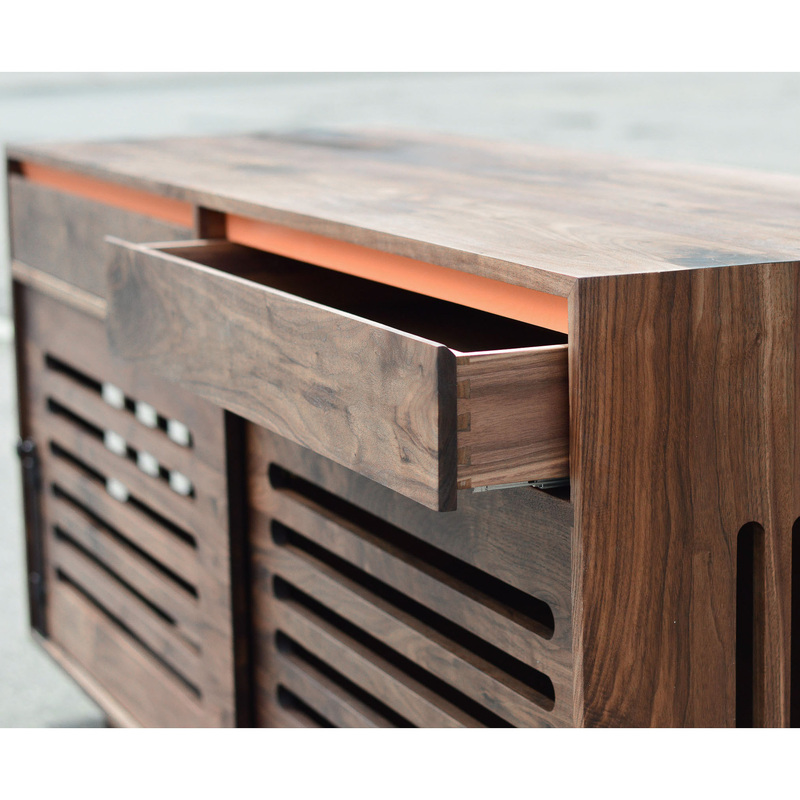 Because your doggo is already the center of your home, we designed a credenza beautiful enough to also be at the center. 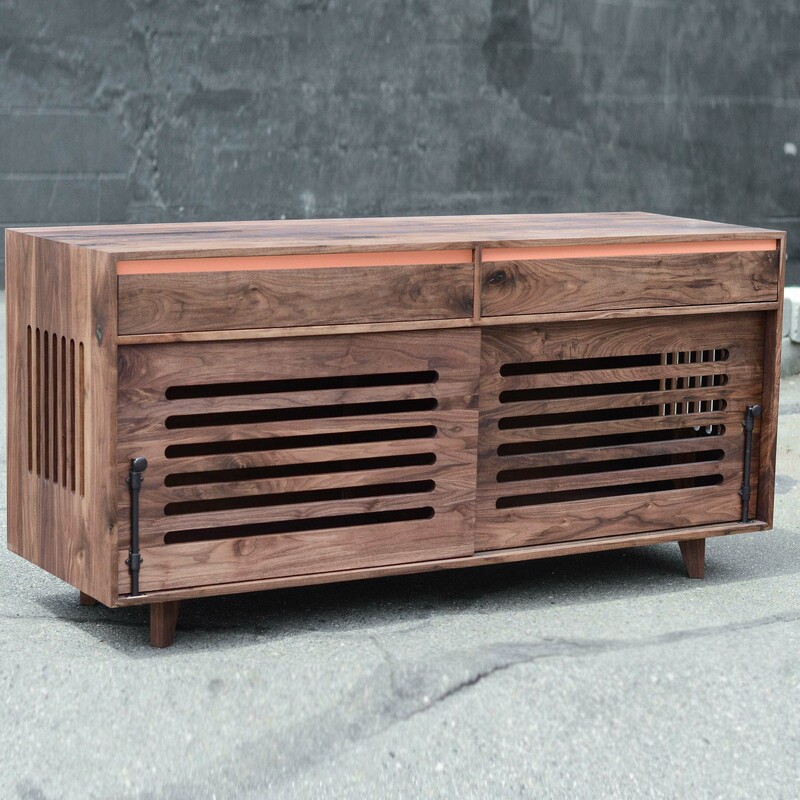 Handcrafted using traditional mortice & tenon and dado techniques, the Canine Credenza includes two oak dovetailed drawers on soft-close BLUM invisible hardware, with just a pop of color above the drawer. 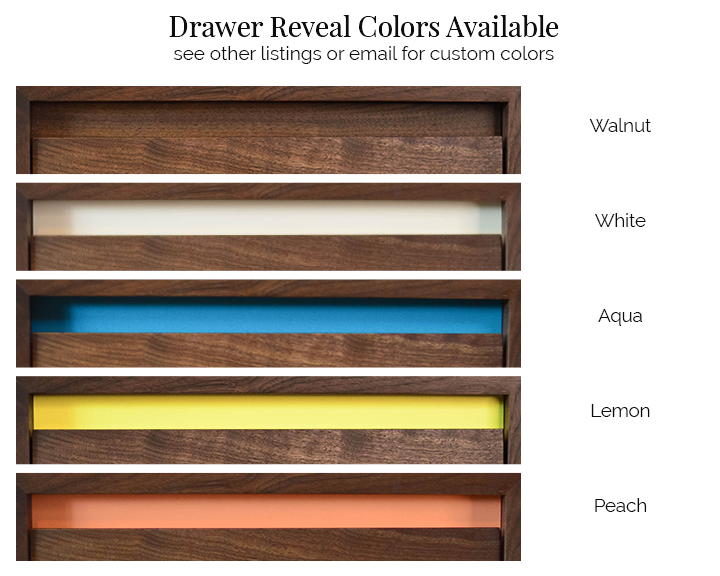 This listing is for a Peach accent above the drawer (other colors are shown in the gallery images). We can create a custom color to match your decor – please ask! Two, 22″ tall sliding doors glide on rolling hardware and lock securely with a solid brass carriage bolt. 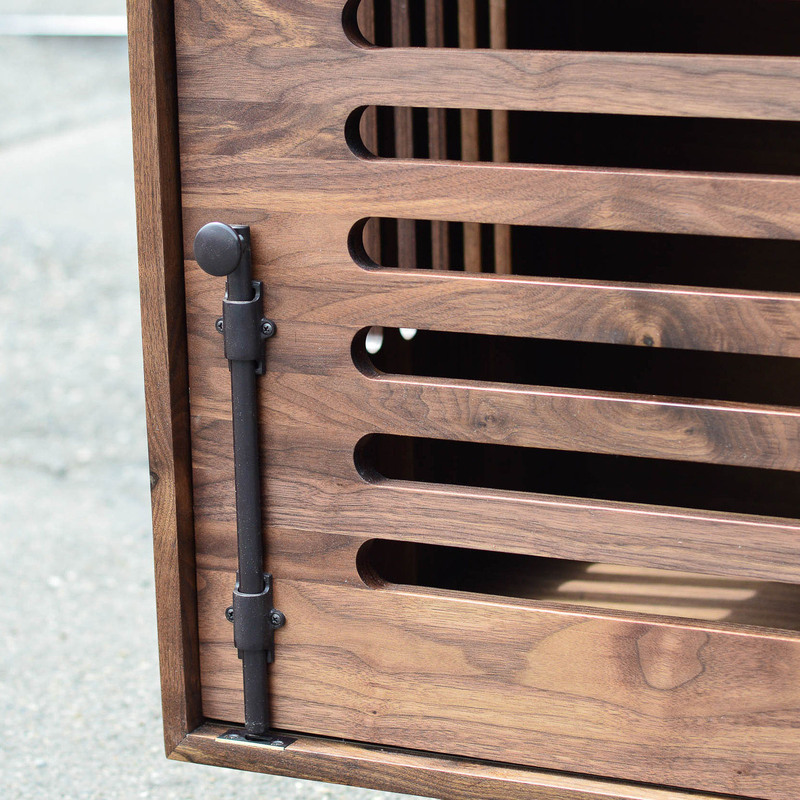 An interior hinged divider is available so that two dogs can have their quiet time if needed. • You won’t find harmful chemicals or formaldehyde in our products. 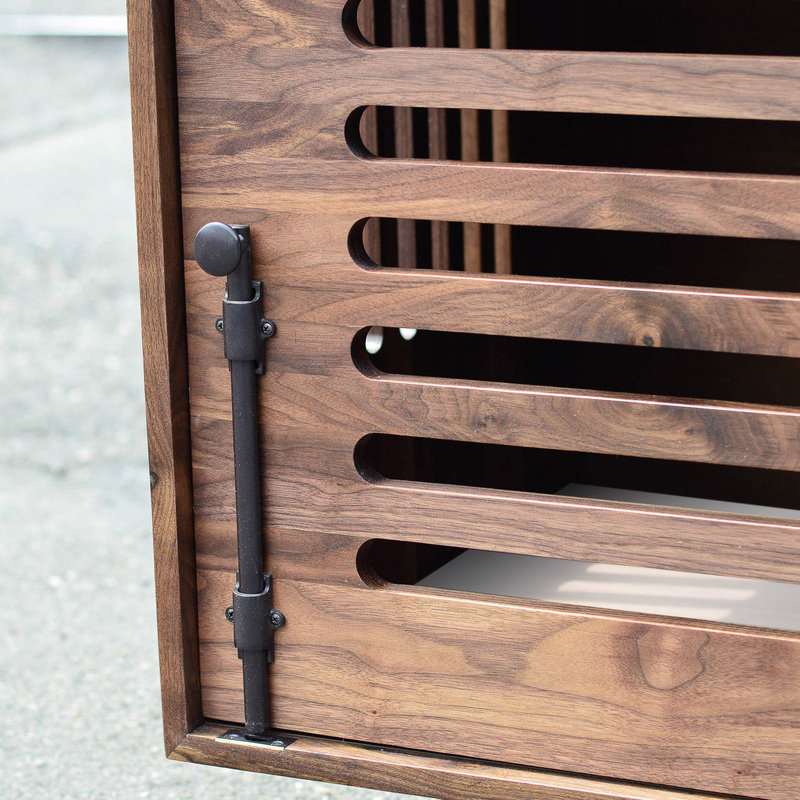 • The top, sides, doors, and drawer faces are made of solid Walnut hardwood. 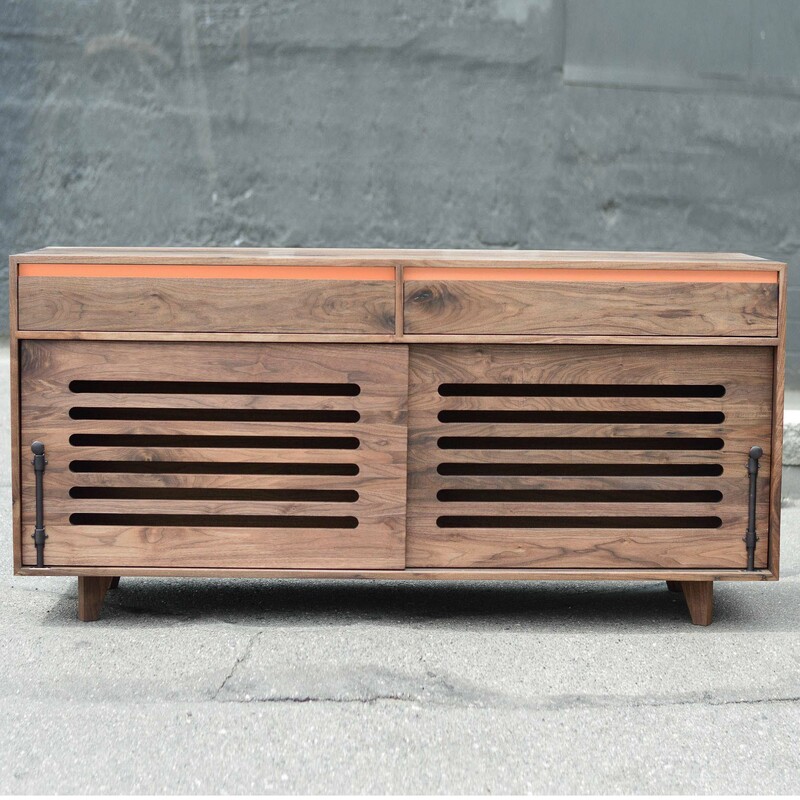 • The bottom, back, and interior horizontal brace (below the drawers), are made with high quality white Melamine over Birch cabinet ply to increase rigidity and make the Canine Credenza easy to clean. The back is easily removable for cleaning also. Note: Best suited for dogs who have been previously crate trained. Hardwoods of all types can be toxic to your pet if consumed. 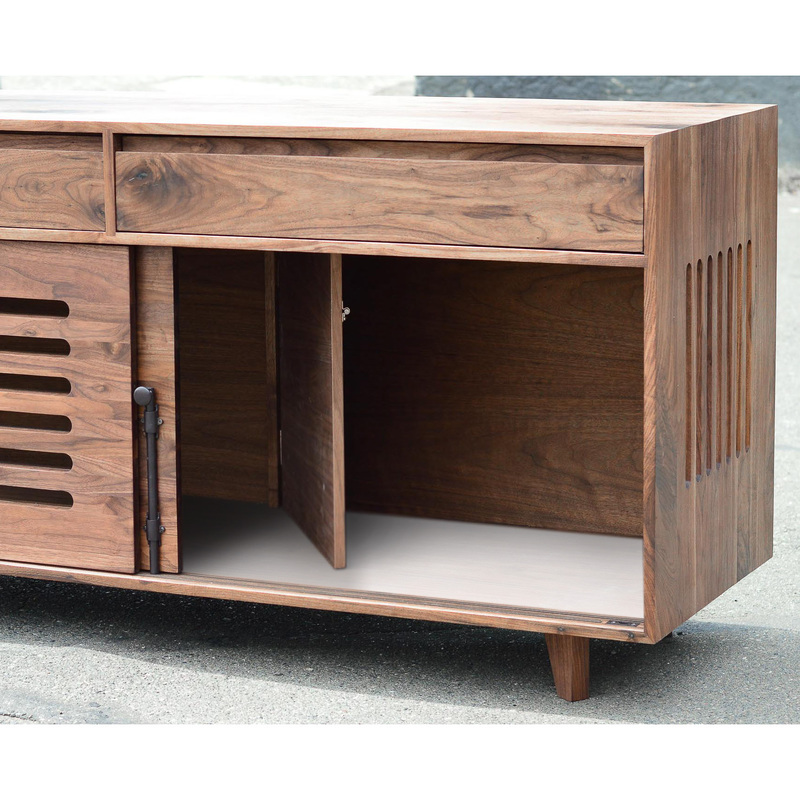 • Each Canine Credenza is made to order, please allow 6-8 weeks for delivery.